Business Insider/Jessica TylerJocko Willink and Leif Babin are former Navy SEAL commanders and the cofounders of Echelon Front. They said that their experience in combat taught them the value of having a personal connection to every member of their team, while still keeping the team’s needs above all else. In business, this can help determine when to mentor and when to fire an underperforming team member. 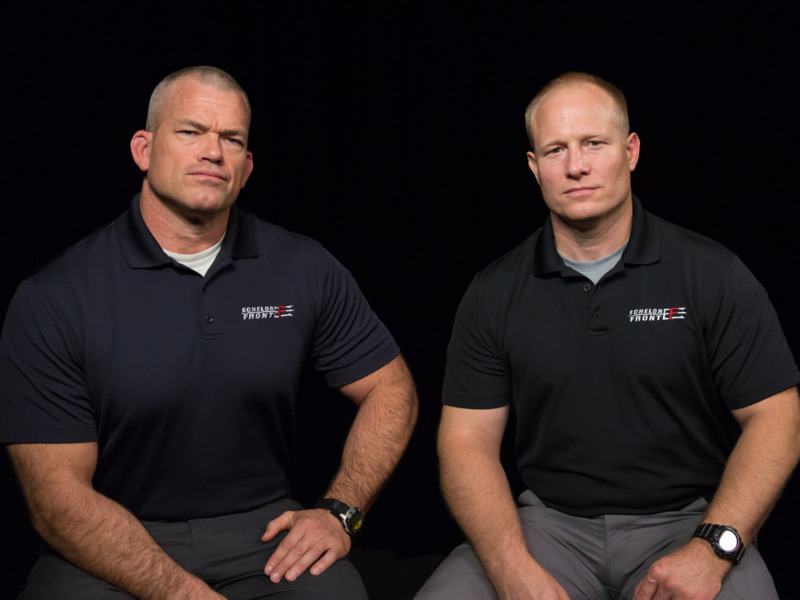 As Navy SEAL commanders, Jocko Willink and Leif Babin were not only responsible for completing missions, they were responsible for protecting the lives of their men. It’s an extreme context, but it’s one that taught them a universal lesson on how leaders must invest themselves in both the personal success of individual team members with the overall success of the team, and how to balance those, Willink and Babin explained to Business Insider. Willink was the commander of US Navy SEAL Team 3 Task Unit Bruiser – the most highly decorated US special operations unit of the Iraq War – and Babin was one of two platoon leaders who reported to him. In 2010, after their service, they founded the leadership consulting firm Echelon Front, which has worked with more than 400 companies in the last eight years. In their new book “The Dichotomy of Leadership,” Willink and Babin explain how to be “close, but not too close” with those who report to you. During the training that took place ahead of a deployment to Iraq, Babin remembered, one of the fresher SEALs in his platoon was struggling to keep up during drills. This SEAL was a team member everyone was friendly with, and he had a good attitude. Babin decided to get one of the more experienced members of his team to mentor the younger SEAL, but even with hours of extra training, it didn’t seem to stick. Babin consulted with Willink, and the two decided that there may be a role on the team that would be helpful without getting in the way. If Babin cut him from the team, he wouldn’t be able to get a replacement ahead of the deployment and would have to go a man short; and if Babin fired him from the deployment, a Navy board would likely review his underperformance and permanently strip him of his SEAL designation, crushing his career ambitions. But as training progressed, the young SEAL still underperformed, even at the alternative roles Willink told Babin to consider. Babin knew that no matter how optimistic this young SEAL was, or how much his teammates liked him, a mistake made during combat could result in that man’s death, the death of his team members, or the death of innocent civilians. It was a painful choice, but he had to fire the SEAL, who was indeed dismissed from the SEALs. That said, this man went on to find a role in the Navy better suited to his capabilities and had a successful career, Babin said. Willink wrote he saw a similar situation on a construction site, where a manager’s concern for the well-being of his employees was leading to a botched job. But before getting to that point, Willink and Babin explained that it is necessary to give an under-performer a chance at redemption. Babin said that when working with clients considering firing an employee, he’ll tell them to talk to that person on a personal level to find out what they think is happening, and not to make an assumption the employee is incompetent.